Product #60730 | SKU 22021 | 0.0 (no ratings yet) Thanks for your rating! 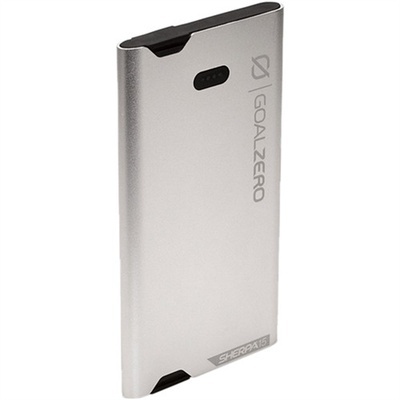 The Goal Zero Sherpa 15 Power Bank Micro/Lightning (Silver) is a phone recharger with built-in cables for ultimate convenience while charging on the go. Features 3,870 mAh and 2.1 USB output ideal for charging phones, with built in micro USB and Lightning cables. Slim aluminium body, handheld design, and built-in cables for ultimate convenience.